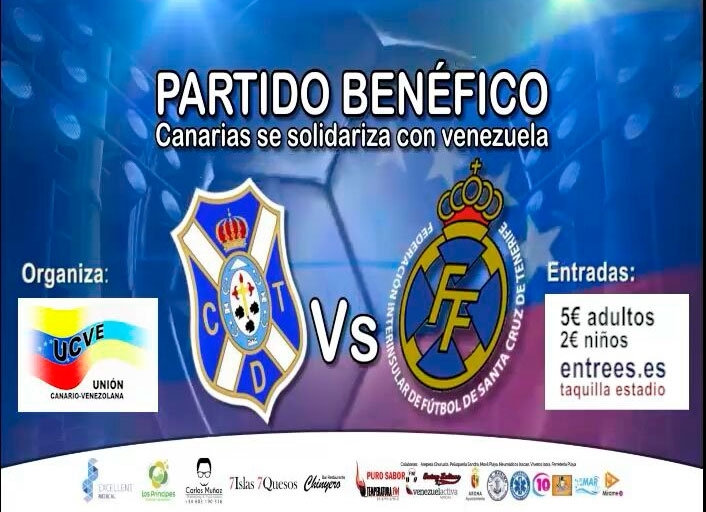 Club Deportivo Tenerife and Selección del Sur foodtball teams will come head to head this Wednesday at 18.30 at the Antonio Domínguez Stadium to collect medication, food and money for those suffering from food shortages in Venezuela. Tickets cost 5 Euros for adults and 2 Euros for children which includes being entered into the lucky draw. From 2pm onwards there will be live music from folkloric groups and entertainers as well as various stands where you can donate non-perishable food, clothes, and medication as well as a small crafts market. So come along to watch two local teams have it out on the pitch and help support people in need.